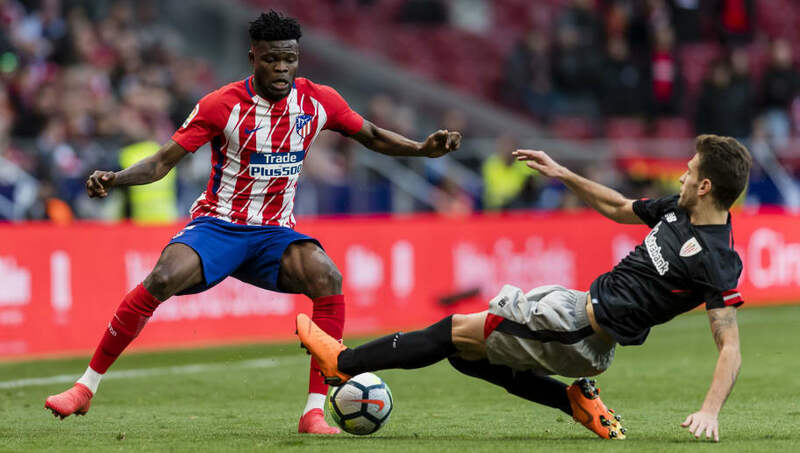 ​Atletico Madrid will play host to Athetic Bilbao at the Wanda Metropolitano on Saturday afternoon, seeking to make it nine games unbeaten in La Liga. Diego Simeone's side are fresh from beating Borussia Dortmund 2-0 in the Champions League, a win which went some way to restoring pride from their 4-0 defeat in the same fixture a fortnight ago. Bilbao, meanwhile, are currently in 17th in the League, having failed to register a league win since August. Here's 90min's preview of the clash. ​Atletico's injury crisis deepened midweek, when both Jose Gimenez and Lucas Hernandez picked up issues during the Champions League clash. This leaves the club with no recognised centre back left in the squad - thus youth star Francisco Montero is expected to come in, alongside a shoe-horned full back, such as Santiago Arias. The remaining absentees at the club include Koke, ​Diego Costa, Diego Godin, Thomas Lemar and Stefan Savic - all of whom varying muscular issues expected to keep them out for at least another couple of weeks. As for Bilbao, their sole concern lies with Yeray Alvarez, who has torn his abductor muscle. With each club being well established and prestigious clubs within Spain, Atletico and Bilbao have squared up against each other a mammoth 172 times. Their first ever clash was a Copa del Rey final in 192, which the Madrid side won 4-1. Their overall head to head record is a tight one, but it is Atleti who hold the better record, winning 79 times to Los Leones' 63 victories. There have been 30 stalemates. Atletico have lost just once domestically so far this season, yet they sit in fourth place in the table. This is thanks to their proliferation of draws - five to be exact - combined with a goalscoring deficiency which has seen them notch just 13 in 11 ​La Liga games.  The team is back to work following our win against Borussia Dortmund. Now we're focused on the @AtletiAthletic match! Athletic Club have had a similar, if more drastic problem. With just 10 points from 11 games, Eduardo Berizzo's team have won just once in the league - back in August - and collected seven draws so far. Though Atletico's revenge win over Dortmund will undoubtedly have handed them a massive boost in the confidence column, they continue to be hamstrung by a never ending cycle of muscular afflictions. While Bilbao have shown very little in the way of attacking verve this season, they have shown a propensity to defend and frustrate in the big games, picking up points against both Barcelona and Real Madrid. Considering Atletico's depleted squad, and both side's penchant for singular points, this tie between two Rojiblancos is surely destined to end with the honours even.